The MK-2000 keyboard is a fun instrument packed full of features. This simple and easy-to-use keyboard with built-in speakers, included headphones, keyboard stand and piano bench, will have you ready to make music in no time. 100 instrument voices and 8 percussion sounds are easily accessed through a very simple control panel with LED display. With the MK-2000 you can sound like anything from a Grand Piano, to a trumpet and even a music box! The HP-210 headphones are amongst the best sounding headphones money can buy for under £20. They are great for a wide variety of applications, including studio and live work, instruments, or general music enjoyment, and a mini jack connection with a 1/4" jack adapter for connection to a wide variety of equipment. 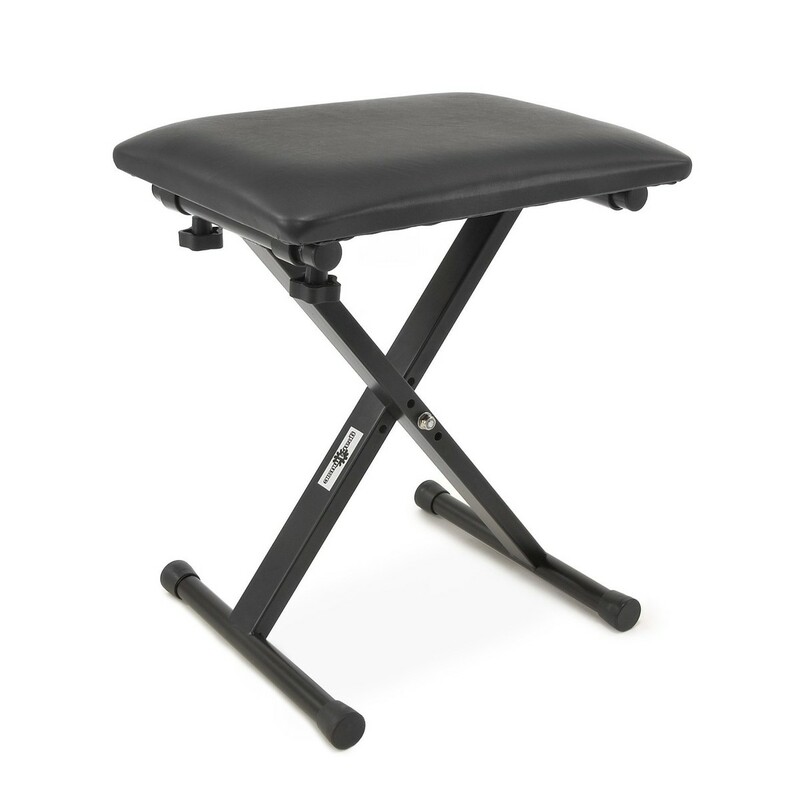 A good quality adjustable bench for use with keyboards or pianos. The adjustable height means it is suitable for a wide range of ages, with three separate heights, and the black finish gives it an understated style which matches most dark pianos and keyboards. The padded top is designed for comfort whilst you play and is supported by a sturdy, X-style frame. This piano bench also folds flat meaning easy transportation for those on the go at gigs or lessons.